Temporomandibular joint dysfunction (TMJD) is the second most common cause of facial pain after dental disorders. Treat’s Claire Gurney developed the condition and had to travel to London for treatment. Claire is already a trained masseur and she decided to spare other suffers the journey and recently qualified in TMJD therapy, becoming one of the first practitioners in Norfolk to offer this form of treatment. The temporomandibular joint (TMJ) connects the jaw to the skull. Problems in this area can cause many unpleasant symptoms, ranging from mild pain and discomfort in the jaw to problems eating, speaking and swallowing and may be affecting up to 20% of the population. When these symptoms occur and do not resolve the condition is called temporomandibular joint dysfunction (TMJD). Symptoms like ear pain, tinnitus, tension headaches, dizziness and blurred vision can be a precursor to TMJD. Treating these symptoms at an early stage can be a great way to preventing TMJD from causing more severe problems. Symptoms are due to muscle tension, or joint inflammation, sometimes damage occurs to the joint itself. It is not always known what causes TMD but known triggers include night time teeth grinding (bruxism), a bad bite caused by uneven teeth, arthritis, previous jaw trauma and/or neck problems. TMJ massage techniques have been developed to treat the facial muscles surrounding the TMJ, which can become tense and fatigued in people with TMD. Reducing muscle tension is key to improving pain, tension or limited mouth opening. Massage can also prevent muscle restrictions occuring and will boost circulation to the jaw area promoting healing and preventing TMD from becoming worse. 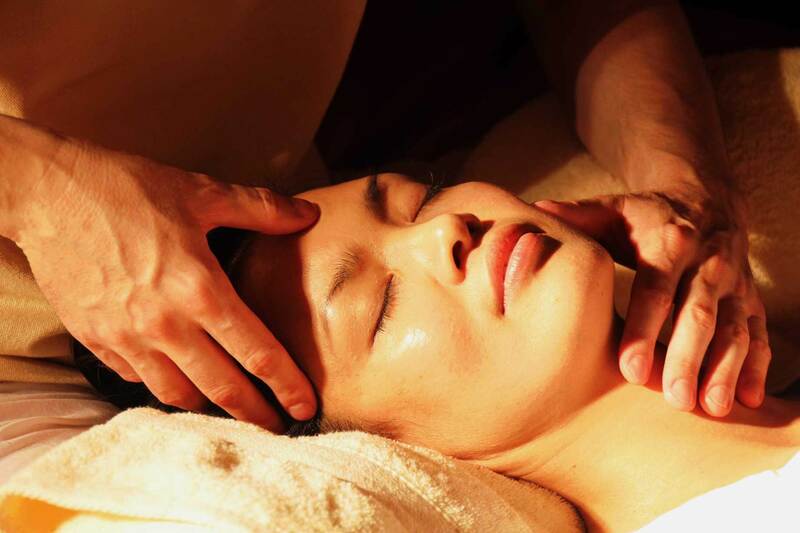 TMJ massage techniques commonly involve facial massage and intra-oral massage inside the mouth to release the deeper muscles surrounding the jaw. Techniques used will include traditional massage, trigger pointing and myofascial release. As TMD can cause the surrounding muscles of the neck, back and shoulders to become tight, these areas can also treated as part of a TMJ massage treatment. Due to the nature of the treatment TMJ massage can also offer relief to people with tension headaches, migraines, tinnitus, neck pain, vertigo and ear pain. Claire also offers Swedish, Oncology and Light Touch Massage - full details here . All Claire’s massage therapies cost £30 for ½ an hour £40 for 1 hour, £60 for 90 minutes.